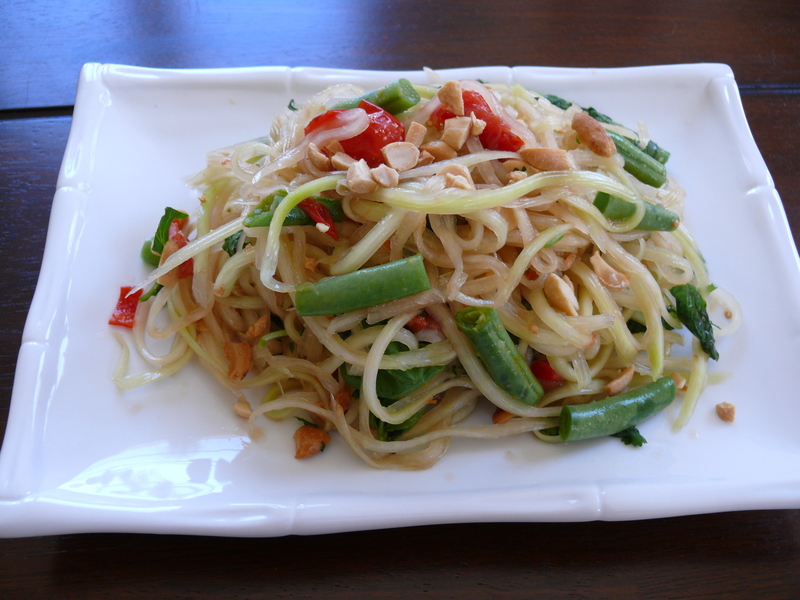 Update 4/21/14: I updated this recipe based on our experiences in Laos and Thailand over the holidays. This version is more authentic, but still vegetarian! I made my husband Tejas stop at Westminster Market in Little Saigon while we were driving back from San Diego. It was almost 10pm but I knew it must be open, it was only 2 minutes off the freeway, and I needed a green papaya! I have been wanting to make papaya salad for a while and we are really not near any Asian markets and the last time I was at one they were out. So I needed one. It made since to stop right? To make this vegetarian papaya salad takes a little crushing and mashing but it doesn’t take long and the end result is a such a refreshing salad. I used She Simmers’s recommendation to not use soy sauce and stick to salt! A julienne peeler makes this salad really easy. There are all kinds of julienne peelers, I happened to get this Titan one on an infomercial years ago. 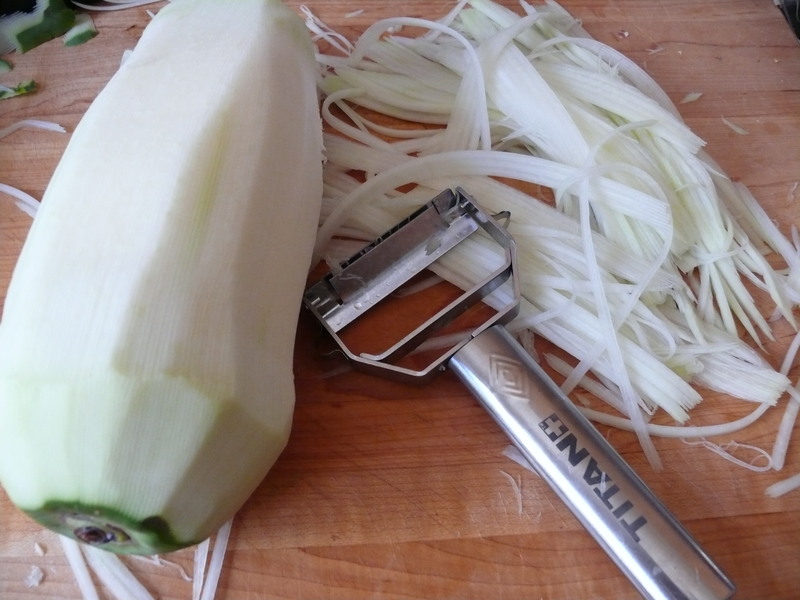 If you don’t have a julienne peeler, you can make lots of knife cuts lengthwise on a peeled papaya and then use a regular peeler to shave off the strips that were created by the knife. Shred the papaya using a julienne peeler . Using a mortar and pestle, smash the garlic until smooth. Add the red chilis and smash again until they are broken up. Add the green beans and smash a little as well. Add the tomatoes and papaya and smash. You want the tomatoes to juice up some. Squeeze in the lime juice and stir in the sugar and salt.